Sometimes there are games that take you back. Sometimes there are games with “gritty reboots”. 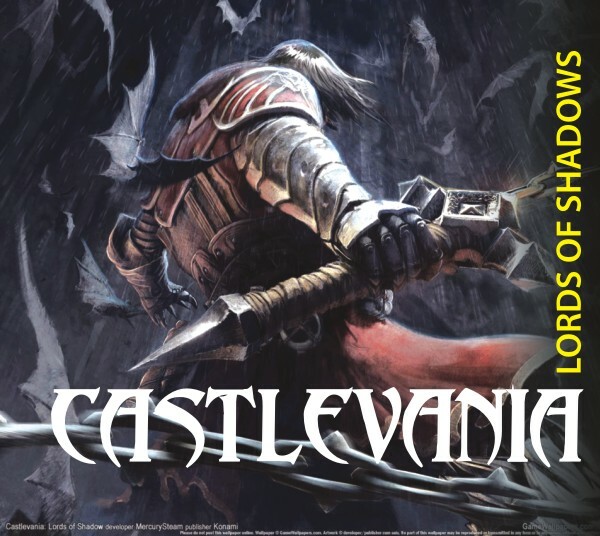 And when those two coincide, you have a bowlful of awesomeness that goes by the name Castlevania: Lords of Shadows. Castlevania has over 30 titles but the developers [MercurySteam and Kojima Productions, i.e. some of the guys that made MGS] felt it needed to follow a new path, with little relation to any of the previous games. Consisting of highly polished graphics and smooth gameplay, if you are new to the series you'll have no problem getting settled into the story. The plot is set in the early Middle Ages and follows a grief-stricken member of the Brotherhood of Light, Gabriel Belmont, as he fights to save the alliance between Earth and Heaven. Sinister forces, known as the Lords of Shadows, are spreading evil throughout the realm. Gabriel finds out that he must defeat the three Lords of Shadows and unite their power to undo their deeds. However things won't be very easy as a traitor lurks in the dark and a greater evil is waiting to be unleashed. The way in which the narrator tells the story is amazing. It genuinely feels like you are playing an old myth and if you like fantasy then you'll feel right at home. Though the missions may seem easy, the puzzles are not and there are quite a number of those, especially the demon chess quite good. The voice actors performed brilliantly, specially Robert Carlyle who outdid himself in portraying the grief in Gabriel's voice for the loss of his love. The game has a number of weapons in its arsenal. The trademark Combat Cross is present which is the main weapon and can be used for climbing, swinging and controlling beasts to your advantage besides whipping them. There is also Holy water and Silver Knives, each effective against a certain type of monster. The best weapon is a dark crystal which summons a Demon which viciously devours every moving thing around Gabriel. As for enemies, there are quite a number of those and in great variety. Besides vampires, werewolves and zombies, there are necromancers, trolls, goblins, colossal mechanical Titans, dragons, humongous spiders and, of course, the bosses. The game also allows Gabriel to use Light and Shadow magic which, when used effectively, can be really helpful in tight spots. Despite its reasonably high ratings, the game was lost among other big titles of 2010, such as Mass Effect 2 and Starcraft II. It really does deserve a lot more. Just play it. Once you've finished the game, don't forget to see the epilogue; it got nominated for the most memorable scene by Gamespot. “Mushishi” is one of my most favourite anime only for this awesome English number by Scottish artist Ally Kerr. The song is peaceful and totally captures the mood of the entire anime. Death Note is awesome for a reason. “The World” by Nightmare is one of those reasons. Among all the intense sound tracks of this anime, this first opening song demands the most special place. Mai Yamane in Cowboy Bebop. 'Nuff said. It is the opening theme by Origa for Ghost in the Shell: Stand Alone Complex. 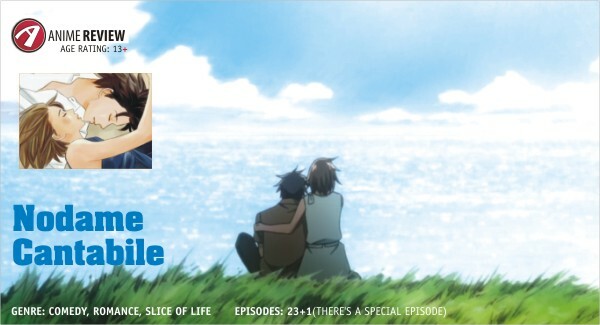 Just the perfect start for an awesome anime. 5. Full Metal Alchemist/Brotherhood: Truthfully speaking, almost all the OP and ED [opening and ending] of these two anime are so good that finding the best is nearly impossible. Brothers (Michiru Oshima and Bepa), Rewrite (AKFG) from the first anime and Trisha's Lullaby: Warsaw Philharmonic Choir, Requiem for the brigadier: Senju Akira, Lapis Philosophrum: Warsaw Philharmonic Choir, Again: YUI from the second anime deserve special mention. 6. Trust Me: The ending song of Durarara! by Yuya Matsuhita is one of the best songs in anime. Also check out 'Complication' by ROOKiEZ is PUNK'D from the same anime. 7. One more time, one more chance: The ending title of the film “5 centimetres per Second” performed by Masayoshi Yamazaki. This is one of the best singles I have ever listened to. 8. Ergo Proxy: We shall list Paranoid Android (Radiohead), Kiri (Monorail) from this anime. Great numbers. 9. Heaven's not enough: By Steve Conte for 'Wolf's Rain”. The OP and ED titles of “Stray” and “Gravity” all are real nice as well. 10. Samurai Champloo: This anime is directed by the same as that of Cowboy Bebop. So you can expect some very good songs in the whole anime. Among them, our picks are Battlecry (Nujabe), Shiki no Uta (Minmi) and Hiji Suru Style (Forces of Nature). The last one is my favourite, although it doesn't appear directly in any OP or ED, just as background when Mugen was monkeying around in one episode. Actually this list is never complete. You will definitely find your favourite song missing in the playlist. As compensation, here's a little something for you: http://downloads.khinsider.com/ and gendou.com. These are the places where you can find most of these soundtracks. I started my comic book journey with Tintin. I had the entire set. All of them. And then one fine day, my brother gives them away. All those books, gone. I started again and almost managed the entire set. All originals. Makes me a big enough fan. So when Tintin the movie was announced, I held my breathe mostly because there were cartoons in between - cartoons that were horribly slow paced, sort of like BTV documentaries but in more colour. The movie takes a different twist from the traditional yet awesome solid drawing style of Herge that became an art style of its own. This is a highly detailed and shaded, motion captured flick that pays a passing homage to the original simplistic style. By passing, I mean the opening credits. Flat, cell shaded works of art. 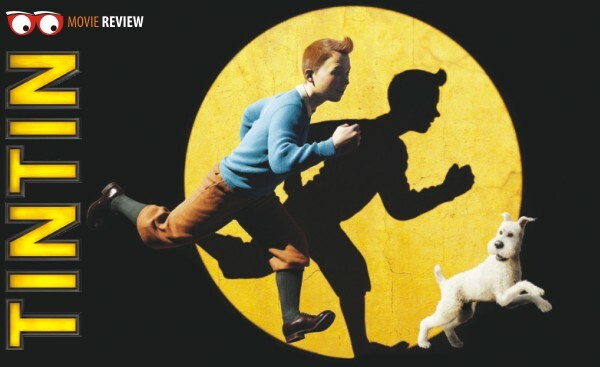 We see the movie opening with Tintin sitting for a portrait, the output of which is his comic book face. And that's pretty much the one single moment of solitude. Then the action starts in every manner possible with the purchase of a model ship that contains a secret scroll in its mast. 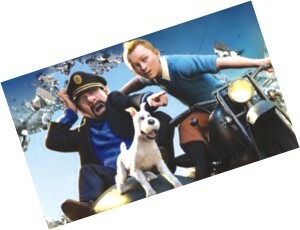 Tintin's movie is aptly based on the Secret of the Unicorn where he meets the infamously cursing Captain Haddock for the first time. The characters are more fleshed out than the ones in the comics. They have added gestures, mannerisms, the way they walk even. It all makes each of them a better formed character. All except for Snowy. Unlike the comics, what goes on in Snowy's head stays in his head. I used to love reading the dog's quips, the wisecracks. Here, he's more of a 'real' dog if that term could apply. But a very smart one though. The wait for a HD print is worth it because the visuals are stunning. There are two scenes of breathtaking beauty. One involves Captain Haddock imagining a lost treasure ship belonging to his family, all of it taking place in the desert; it's interesting how things transform around him while he deliriously walks about thirsty, sober and lost. The other scene is that of a chase scene (one of several), that takes place through the Moroccan countryside involving a bursting dam, rocket launchers, people living on the hillsides, tanks and a runaway hawk. It's very reminiscent of Indiana Jones' magical escapades. Defies physics yet applies to logic in a perfect world. But that's the beauty of it; in a movie you want to see how the protagonist survives the jump over a cliff by grabbing onto a lucky passing airplane. You don't want him to fall and die or just land like Superman. No. So what do I make of this film? It's brilliantly rendered. It's fast paced so there's never a dull moment. The voice acting is pretty much the way I imagined it while reading the comic panels. Tintin is boyish yet mature, Haddock is deep, gravelly but slurs a lot. Even the Thompson brothers - who have very brief roles as the bumbling idiots, or idiotic bumblers to be precise - mumble, er, idiotically. Sigh, I miss Snowy's thoughts though. Good mix of humour and action. Spielberg; him of awesome directorial genius whose last flick was the disappointing Indiana Jones. Let's face it, no one should survive a nuclear blast by hiding in a refrigerator. But with Tintin , he's very much in the game. Whether you've read this amazing series of comic books or not, the movie will enthral. And you should really read the comics. You don't know what you're missing.